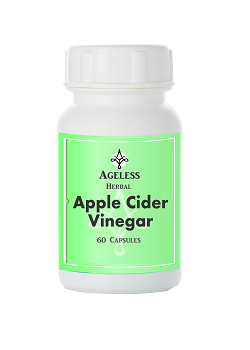 We were the first to make this very active and effective fortified Apple Cider Vinegar Capsule. Apple cider vinegar is used in folk medicine to fight a variety of ills and problems. This all-natural product is a great every-day tonic to use and assist with other specific problems as well. For our Apple Cider Vinegar Capsules, we have dried the goodness of apple cider vinegar in a unique way, to make sure that none of the ingredients are lost, and added the gotu kola (Centella asiatica) to help to make this a truly magnificent product. This, and our unique manufacturing techniques, make this product the best available, and although various companies have tried to duplicate our successful formula, their products have never achieved the same level of effectiveness. This ancient herb has also been used for centuries to treat a variety of problems. Gotu kola is used for helping and assisting with wound healing, better circulation, memory enhancement, vitality, general tonic, detoxifying the body, treatment of skin problems, revitalizing connective tissue, slimming and edema, treatment of liver and kidneys, strengthening of veins, blood purifier, sedative, anti-stress, an aphrodisiac, immune booster, anabolic and adaptogen etc. 1 or 2 capsules per day, or as directed by your health professional. Easy to swallow with no sour taste. Naturally fortified to be an effective and powerful supplement. Has a wide range of benefits and is helpful with weight loss, and used in folk medicine as a general tonic. The gotu kola herb is great to improve circulation and to improve tissue and skin health.